If you would like to help with the recording and editing of the services please contact Fr. Gregory - WE NEED HELP! 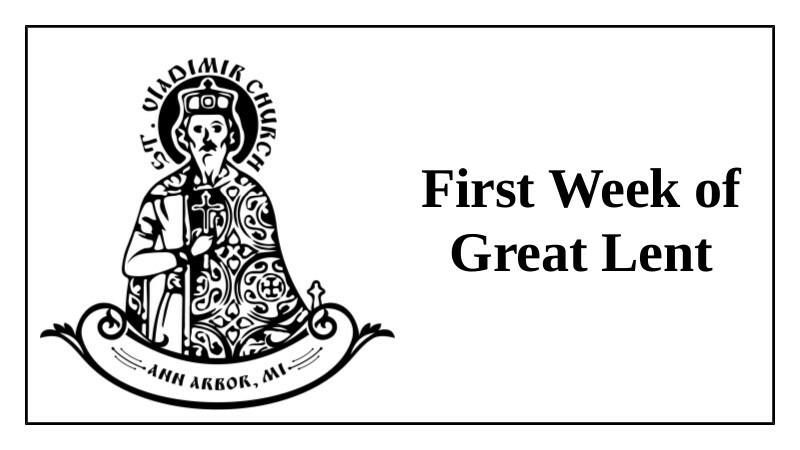 Please find recommended reading for today - Thursday of the first week of Great Lent - at the link below. 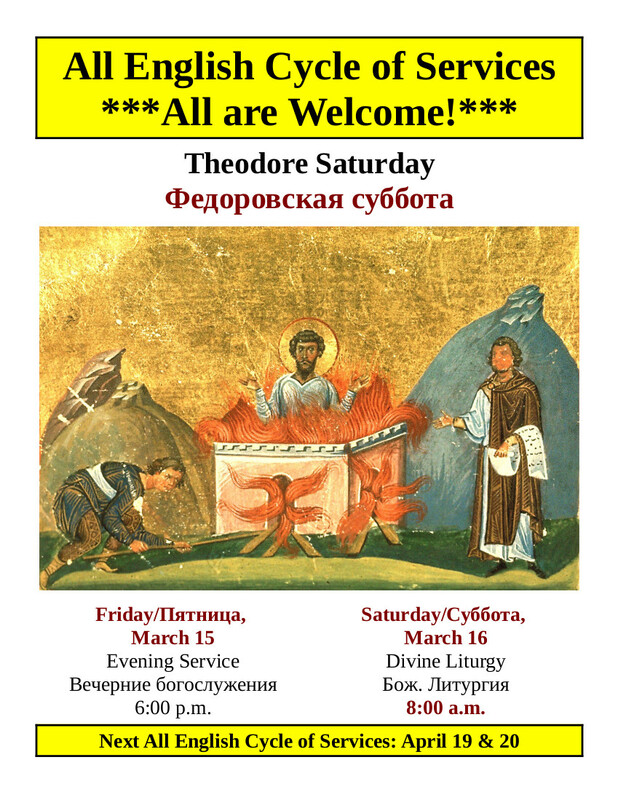 As is our tradition at St. Vladimir’s (a pious tradition found throughout the Russian Orthodox Church) we urge all our family and friends to attend as many of the services as possible during the first week of Great Lent (beginning with the very important Forgiveness Sunday Vespers), with the goal of confessing and partaking of the Holy Mysteries on either Saturday, March 16 (Theodore Saturday) or Sunday, March 17 (The Sunday of Orthodoxy). 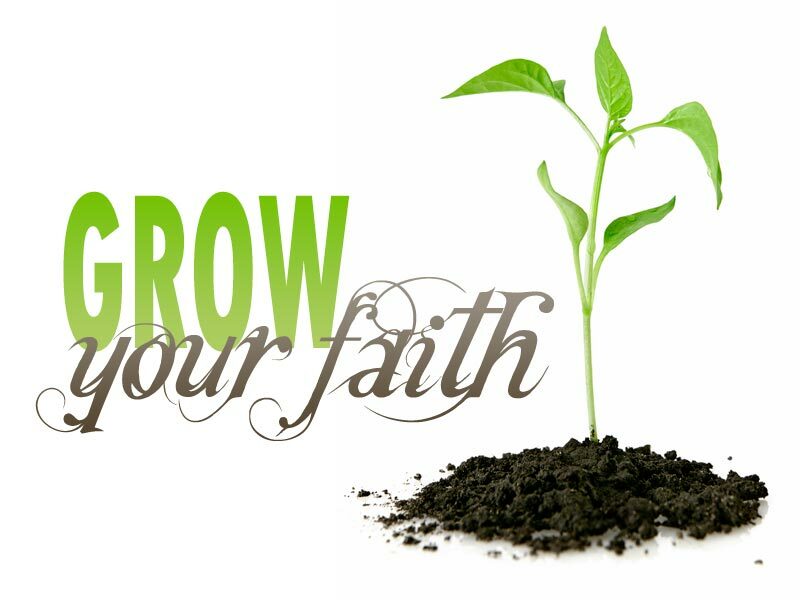 Let us begin our Great Lenten journey of repentance and preparation for the feast of feasts, our Lord’s Glorious Resurrection, by forgiving each other and partaking of the Cup of Life together as a parish family! We continue here our mid-day first week recommended reading.